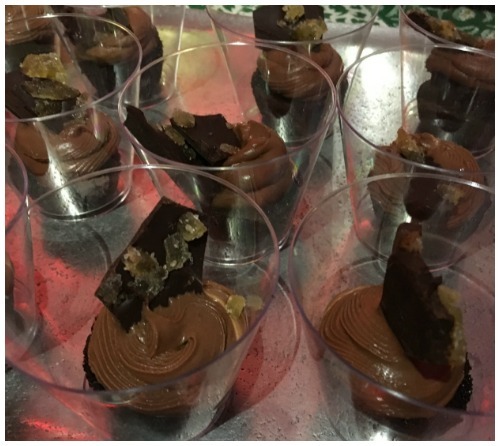 My first event since joining the team at Boston magazine in September was last Tuesday night's annual Taste event. 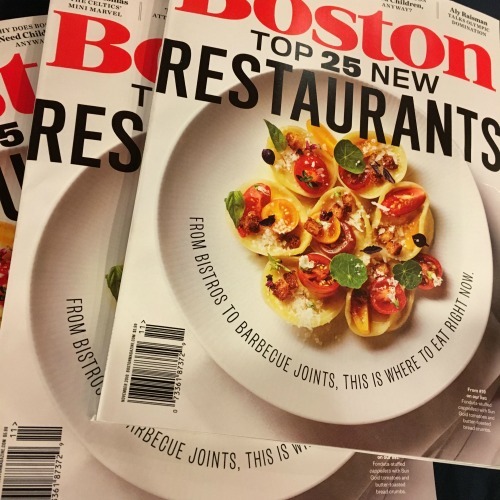 Aligning with the publishing of the November annual Top New Restaurants issue, Taste brings together fantastic chefs in Boston for tastings with lots of drinks, music, and fun. My sister-in-law came along with me to enjoy the night! There were soooo many delicious plates to try and here are a bunch of them! Top row: frito pie from Banyan Bar + Refuge; spicy hamachi sushi from Empire; fennel custard with house-made smoked salmon from Boston Harbor Hotel (this dish surprised me and was so good). Middle row: oxtail croquette from Boston Chops and scallop crudo from Bar Mezzana; rigatoni bolognese from Capo; beef tongue congee from The Table at Season to Taste (another surprisingly delicious dish). Bottom row: shellfish chowder from Heat at Journeyman; spicy gargati salad from Tapestry; quinoa and chicken meatballs by Yvonne's. The experience at SRV Boston pouring the broth over a sourdough canerderli (kind of tasted like a gnudi) was so fun! Desserts were also delicious! 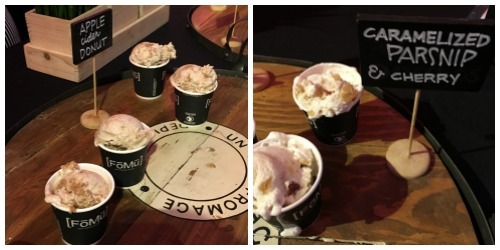 I loved the unique (and dairy free) ice creams from Fomu and the chocolate olive oil cake from Porto. 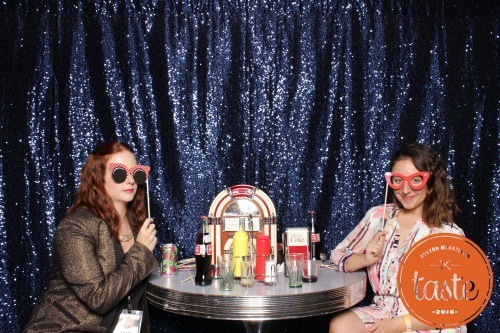 We wrapped up our night taking some photos at The Danger Booth photo booth which was styled as a retro diner. My favorite dishes that I tried were the frito pie, chicken & quinoa meatball, and chocolate olive oil cake. If you attended, what were your favorites? what a fun event! 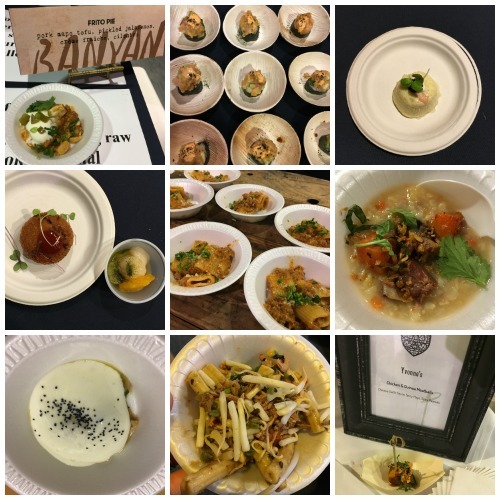 i love getting to sample so many restaurants dishes at events like this and Boston Magazine always does a great job throwing them!